If you are local to the University of North Carolina at Chapel Hill, you are probably familiar with a dynamic and ever-expanding organization called Embody Carolina. For those of you unfamiliar with this group, Embody is a Campus Y organization that was developed in 2012 by four (then) undergraduate students (Ben Barge, Colleen Daly, Savannah King, and Cora Wilen) and two professionals at the UNC Center of Excellence for Eating Disorders (CEED; Christine Peat, PhD and Cristin Runfola, PhD). This group of passionate undergrads approached the CEED with an innovative and inspired idea: to develop a peer-to-peer training aimed at helping friends, family, and loved ones become allies for those struggling with an eating disorder. Embody founders recognized that although there were available eating disorder support groups and some basic education on campus, there did not exist any formal trainings for those who might be struggling with how to approach someone they care about and/or what to say to a friend who has an eating disorder. Embody founders also knew that college students demonstrate a high prevalence of eating disorders and may face unique challenges or barriers to treatment. Up to 30% of students on college and university campuses screen positive for an eating disorder, but few receive the treatment and support they need to recover.1,2 Additionally, college students report being more willing to seek help for a friend’s eating disorder than their own,3 and if help is sought, students are more likely to turn to peers over parents and formal sources for guidance and support.4,5 In fact, a study at UNC6 found that individuals who have recovered from an eating disorder view supportive relationships (not medication or hospitalization) as the most important factor in their recovery. Thus, Embody Carolina was designed to fill the gap between identifying individuals with an eating disorder and funneling them toward appropriate care. The three-hour training equips a friend/family/loved one with the knowledge, skills, and compassion necessary to approach and support someone with an eating disorder from diagnosis through recovery. During a training, participants learn to recognize the signs and symptoms of eating disorders, what to say to a friend who might be struggling, and how best to support someone and connect them with professional treatment. Embody was developed in collaboration with the CEED to provide education and skills that are evidence-based and pulled from clinical expertise. This collaboration continues today as CEED professionals oversee every training and provide input on the organization’s development. 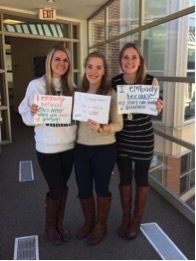 We at the CEED are incredibly proud to serve as an ongoing partner with Embody, as they are a crucial part of eating disorders awareness on the UNC campus. In the years since its official launch in 2013, Embody has conducted >20 trainings (all at capacity of ~20 participants), has been officially recognized as a UNC Buckley Public Service Scholars “skills training,” and has become an integral part of the campus community. Embody also received national attention at the annual conference for the National Eating Disorders Association (NEDA) in 2013 during which they were asked to be part of a panel discussion on eating disorders in college populations. In an effort to further expand their national impact, Embody has also been involved in tweet chats (hosted by NEDA) and enrolled as an official partner with NEDA for the 2016 National Eating Disorders Awareness Week. Collectively, Embody Carolina has demonstrated significant potential to create a network of eating disorder support persons and might then serve as a model for how such organizations could be developed on both a local and national level. In light of this, Embody has received multiple requests from academic institutions across the country to bring this important training to their respective schools. With the help of a grant recently funded by the University Research Council, we are hopeful that disseminating Embody to other colleges and universities will be a reality in the near future! 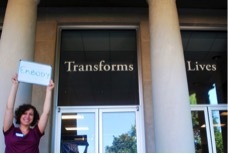 In the meantime, there are great ways to get involved with Embody here on campus. You can sign up for a training here or participate in their upcoming NEDA Walk in Raleigh. You can also follow their blog, Facebook, and/or Instagram account (@embodycarolina) for additional information (and inspiration!). The organization is always looking for new members with innovative ideas on how to expand Embody’s reach, and you can get in touch with any of this year’s co-chairs if you’d like to be an active member. The UNC CEED continues to be incredibly impressed by the hard work and tireless dedication of Embody Carolina and we can’t wait to see where the organization goes next! Eisenberg D, Nicklett EJ, Roeder K, Kirz NE. Eating disorder symptoms among college students: prevalence, persistence, correlates, and treatment-seeking. J Am Coll Health 2011;59:700-707. Dooley-Hash S, Ketchen Lipson S, Banker J, Carbone K, Eisenberg D, Lawson A. University study of habits, attitudes, and perceptions around eating. Annual Report 2013. Available from: http://www.umich.edu/~ushape/findings.html. Prouty AM, Protinsky HO, Canady D. College women: Eating behaviors and help-seeking preferences. Adolescence 2002;37:353-363. Tozzi F, Sullivan PF, Fear JL, McKenzie J, Bulik, CM. Causes and recovery in anorexia nervosa: the patient’s perspective. Int J Eat Disord 2003;33:1430154.